Dancing in the Rain: Did You Know? Get Your #LatteLove On! Did You Know? Get Your #LatteLove On! For October's Did You Know? I bring you news of a warm and yummy Twitter Party! What: I am co-hosting a Twitter party to talk about making your breakfast better with an at-home latte! Americans love their lattes, and with one serving of fat free milk adding nine essential nutrients but only 80 calories and no fat, lattes love you back. Join us to chat about how you can get a nutritious and delicious start to your day. When: Thursday, October 4, at 1:00 PM Eastern (10:00 AM Pacific). It will last one hour. Where: The party will take place on Twitter, using the #LatteLove hashtag. Who: @theMotherhood, @CooperMunroe, @EmilyMcKhann will be hosting. Prizes: We will give away five Latte Lovers Essentials prize packs throughout the Twitter party! 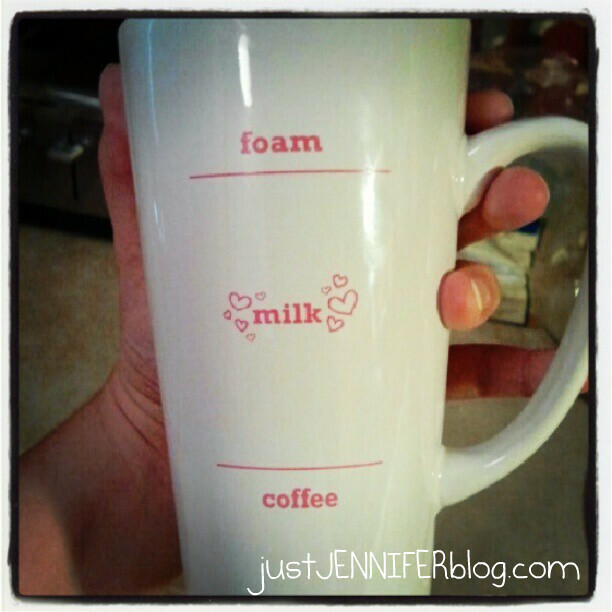 Each one will include a Bodum milk frother, Latte Love mug, 8 oz. Lavazza coffee, Torani syrup, McCormick spices, recipe card and coupon. Twtvite: For more details, and to RSVP, click here! Want a sneak peek? Enter the Latte Love Sweepstakes on Facebook now through October 9, for a chance to win a Latte Lovers Essentials kit or Keurig brewing system (What??)! You can also find easy tips, recipes and ideas for making lattes, cappuccinos or other coffee drinks at home on The Breakfast Project or MilkMustache.com. Perfect timing, what with it being fall now, right? And Did You Know you can look forward to more #LatteLove and Milk Mustache musings to come? Well you CAN! I will be publishing a list of some of my favorite blogs to read with my morning coffee, AND.....wait for it....hosting a giveaway of the very same #LatteLove mug and milk coupon I received! If you have something interesting to share, grab the Did You Know? button over in my sidebar and link up a post!